He was part of what would be called the greatest generation. He was one of several hundred major league players who would serve in World War II, one of the few who also would serve in Korea. He was a Marine pilot credited with 120 missions. He received two Distinguished Flying Crosses, 13 Air Medals and three Navy Citations. In the process, he lost four years off his playing career–first as an infield prospect in the New York Yankee farm system, and later as a member of a Yankee team that dominated the 1950s even more emphatically than the Yankees have dominated recent Octobers. Of course, what were those lost years compared to almost losing his life when the engine of his F4U Corsair, carrying 3,000 pounds of bombs, stopped suddenly on takeoff at a dirt runway airfield called K-6 in South Korea and he ultimately skidded to an upside-down stop. 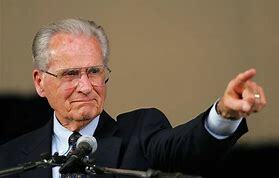 He would be pulled out, unconscious but unhurt, and now, almost 50 years later, Jerry Coleman sat in a broadcasting booth at Dodger Stadium and wiped tears from his eyes. It was not difficult being emotional on a night baseball returned amid a patriotic panoply, but this was several hours before the game between the Dodgers and San Diego Padres and Coleman, 77 and a Padre broadcaster for 29 years, was asking how his generation could be any greater than this generation or any other. Three levels separate Coleman’s broadcasting booth from the clubhouses at Dodger Stadium, but how do you measure the years, the climate? Veteran Padre Dave Magadan speculated that most of his teammates probably are unaware of Coleman’s record as a pilot, of the call he and Ted Williams and Bob Feller and Warren Spahn and so many other players answered in that other generation. “I’m not sure any of us can relate to it,” Magadan said. “It would be the equivalent of Barry Bonds and Alex Rodriguez going off now–and for guys like Jerry Coleman and Ted Williams, it wasn’t to some cushy desk job. They were in the midst of the fight. No one is immune to the events of last Tuesday, but trading a baseball uniform for fatigues? “I understand the patriotic feeling because we all have that feeling right now, but to actually go and do what they did is a completely different story,” Dodger first baseman Eric Karros said of the contributions of Coleman and others. The U.S. was fighting on two fronts when Coleman left the Class-D Wellsville (N.Y.) Yankees to enlist one day after his 18th birthday. It was 1942, and he envisioned becoming a hero, becoming a flying ace such as Joe Foss, who would go on to become governor of South Dakota and commissioner of the American Football League. He was flying dive bombers at 19. His gunner was 18. “If the Japanese really knew what they were up against, they might not have surrendered,” he said, the self-deprecation at odds with his credentials. Ultimately, the Japanese surrender came with Coleman on leave in New York. His fight wasn’t over. He was called back as a captain in 1952. He was a member of the Yankees then. He had a wife and two children, and he would soon discover that the Korean police action couldn’t be won.